Due to forecasted weather conditions for tomorrow morning, we are rescheduling the Breakfast With Santa for 8:00 a.m, December 16th at the church Fellowship Hall. 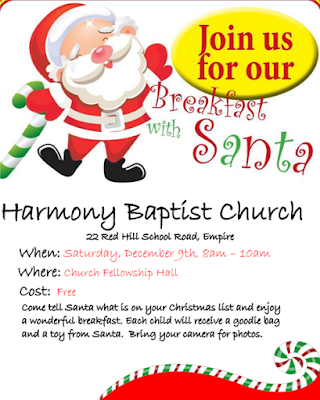 Join us for breakfast with Santa on Saturday, December the 9th from 8:00 AM until 10:00 AM. 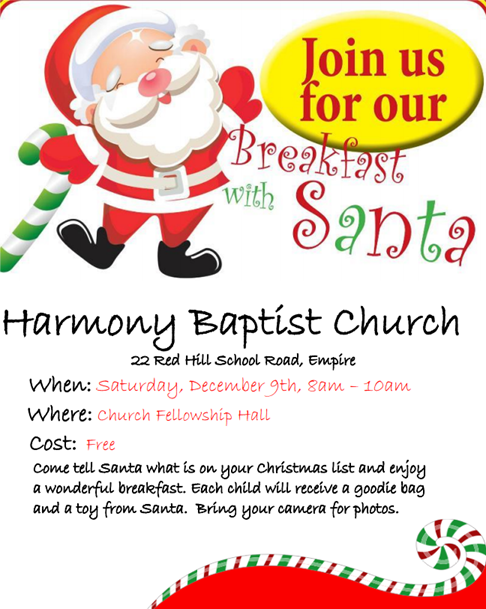 Each child will receive a goodie bag and a toy from Santa, Bring your camera for photos.